After the Success of ” Varutha Padatha Valibar Sangam ” the combo , Siva Karthikeyan – Soori – Ponram has joined for another comedy flick ” Rajini Murugan :This movie was getting its release date trouble and almost postponed for 4 times and now its back with a bang. Rajini Murugan’ is a romantic and comedy kind of film written and directed by Ponram. The music has composed by D. Imman and Balasubramaniem is the cinematographer of the movie. Sivakathikeyan and Keerthy Suresh have given best performance and all characters showed their best performance. Ayyankalai (Rajkiran) is a well off old man in Madurai who has facilitated an NRI life for all of his children. Rajini Murugan (Sivakarthikeyan) is his grandson who lives in the same city along with his parents who are teachers in the local school. Rajini Murugan falls in love with Karthika (Keerthy Suresh) the daughter of Neelakantan (Achudanand) a friend turned foe of Rajini Murugan’s father (Gnanansambandam). Meanwhile, Rajini tries to fulfil his grandfather’s wish of selling the family property and giving the rightful share to all of his sons and daughters who have settled in foreign countries. The Famous song ” Ennama Ippadi Panreengale Ma ” got a huge response from the crowd. Keerthi Suresh dances very well and looks gorgeous , she is take a round in Tamil Cinema. 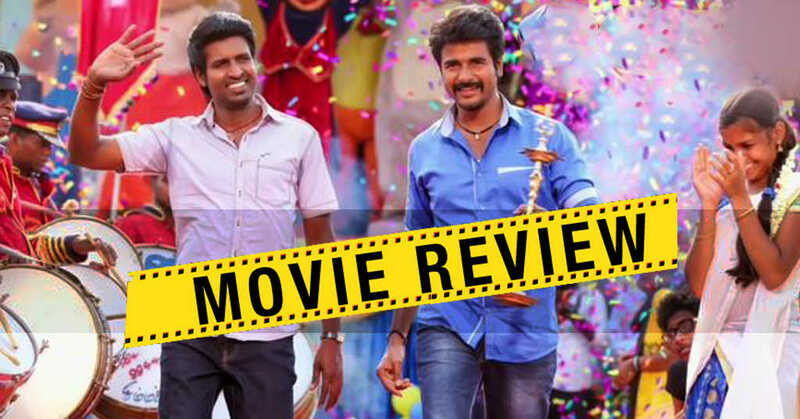 Soori acts as a second hero in this film , his punch counters requires a special mention. Siva Karthikaen is does everything perfectly to be a commercial hero . Raj Kiran is the strength of the film and receives huge applaud during the climax. Rajini Murugan is a solid – Pakka Entertainer and is sure to make some good solid Box Office collection because of Sivakarthikaen’s Market.